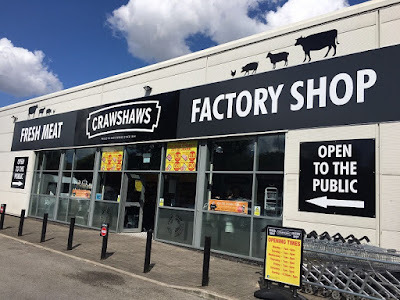 Rotherham-based Crawshaw Group Plc, the UK's leading value butcher, says that factory shops are central to future profitable growth. The AIM-listed Hellaby firm reported its interim results which showed that sales continued to decline amid challenging trading conditions. For the six months ended July 29, pretax losses widened to £1.7m from £1.2m loss in the same period in the previous year. This was despite revenue remaining comparatively flat at £21.6m compared to £22.1m in the year before. Crawshaw's management has completed its review of the business and is implementing its change programme to restore growth and profitability with a transition to focus more on factory store locations. It continues to open new stores with three new factory shops opened in current year and ten more planned in 2019/2020 and a further ten in 2020/2021. Crawshaw said it was reviewing its structure and investment in traditional high street locations where it has 42 stores trading. Jim Viggars, CEO of Crawshaw plc, said: "Clearly the results for H1 are disappointing, but not entirely a surprise given market conditions and the issues that face a retail estate that has too many high street stores and currently not enough factory stores. "However, the important issue is the future growth and profitably of Crawshaw. The new management team has identified what it considers to be the key issues and are moving at pace to remedy them on a sustainable basis. This is achievable over the medium term, despite market conditions which include declining high street shopper numbers, increasing convenience and online shopping and retail pricing that is more competitive. "Our factory stores continue to produce good returns and have substantial room to improve as we get to grips with the supply chain and operational standards. Factory stores are our priority for growth." Another project sees a trial begin with A.F. Blakemore, the UK's leading Spar wholesaler and retailer, which will take the Crawshaw value meat offer into the growing convenience market. A three-store trial is expected to commence in early October 2018. Again away from the high street, a new website expected to go live in early October 2018 to enable Crawshaw to deliver direct to the doorstep. The online brand will be WF Burtons, which is a traditional, high quality butchers owned and operated by Crawshaw in Pocklington, Yorkshire. Viggars added: "Convenience shopping is growing significantly and this route to market will complement our own factory store rollout. "Taking Crawshaw online by utilising our bespoke butchers' shop WF Burtons of Pocklington provides another new route to market. This will enable us to reach many more consumers who choose online shopping as part of their shopping repertoire. Our key point of difference will be providing a farm to fork Givendale British beef range of high-quality cuts at market leading prices." Jim McCarthy, chairman of Crawshaw plc, added: "The new leadership team has a significant amount of experience working in the meat industry. They have identified the core issues affecting the business and are actively implementing a programme of change. "We recognise that some of our existing High Street stores are not core to our future growth. Our Factory store format is attractive to consumers and we intend to accelerate the growth of this proven model, constantly refining value, operational standards and the overall shopping experience that is key in driving sales and profitability. "We are also trialling initiatives in both convenience and online channels in order to meet changing customer shopping requirements. We believe we will be able to achieve this at relatively low cost and that over time these channels will support the factory store format in delivering sustainable growth and profitability. "I am confident with the operational actions now being undertaken and new personnel joining to deliver the change we need, we have a programme in place that will, over time, restore shareholder value."